In The History Of The United States Marine Corps Under One Hour, I will do my best to pass on what makes the Marine Corps so great. 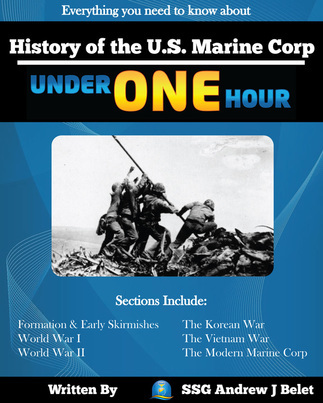 This book will be far from comprehensive and should serve as merely an appetizer to the entrée that is Marine Corps history. A history woven through the very fabric of the United States of America. So please begin reading, and dive into a world of warriors who have been there from the beginning.